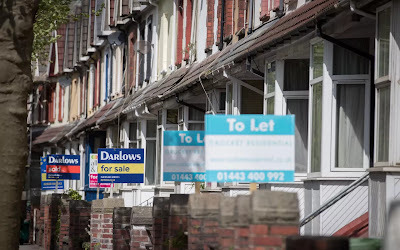 Housing market activity and confidence are now lower than at any point since the referendum to leave the European Union, according to the Royal Institution of Chartered Surveyors. Its monthly residential market survey found that demand from new buyers and agreed sales had fallen again, partly due to a new caution over a potential interest rate rise and a slowing market. It found that 20pc more respondents noted a fall rather than rise in buyer demand, making it the sixth consecutive negative reading. The amount of stock per estate agent has hovered around a record low level since March. The decline in sales was widespread across the country, but London and the South East led the way. The survey found that 15pc more respondents reported a fall in sales rather than a rise, the lowest level recorded since July 2016. Only Wales and the South West had an increase in property sales. As market activity continues to slow, prices are rising marginally across most of the country, because demand continues to outstrip supply. In London, the South East, East Anglia and the North East prices fell in September. line with 213 data points. The chart has 1 X axis displaying values. The chart has 1 Y axis displaying Number of homes for sale. Rics' survey, while volatile, is a useful measure of the direction of the housing market. It found that in the next three months, house prices are expected to fall slightly across the country, except for Scotland and Northern Ireland; in 12 months' time, they are expected to climb, with the exception of London. Those polled were more negative about expectations for the capital's long-term price growth than at any time since 2010. Simon Rubinsohn, Rics' chief economist, said: "We are continuing to see evidence of shortage of stock both in the new build and second hand market. And despite the announcements at the recent Conservative Party conference, it is hard to envisage this changing any time soon.